Pure and clean design with handy extras, the KidKraft Avalon desk with Hutch will give your little one a great craft, study, and hobby space. The hutch is built with a drawer and cubbies to keep items stored and put away to leave room for a great workspace. Durably built with solid wood and eco-friendly materials, this desk and chair set will be her favorite area to call her own. Assembled Dimensions: 1.75" x 23.75" x 32"
The slide out drawer had to be reattached with some wood glue, but for the price, it can't be beat! We were very impressed with both the item and the customer service that we experienced. I was thrilled to see the desk waiting outside my garage after 2 days I ordered online. It is a beautiful desk with a reasonable price. My daughter loves it! We oredered two desks. They arrived in undamaged boxes. The first desk has a horrible paint finish on the top of the hutch as well as a deep gouge on the top of the desk. We were very sad to find that. The desk itself is a great size, the chair is substantial, the design is great but its as if they threw it together, painted it in a big hurry and then tossed it in the box to ship. 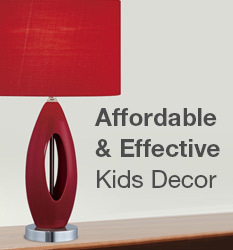 I do not think this is a reflection of Simply Kids Furniture.com....I think it's a reflection on KidsKraft products. We are attempting to rectify the problems through Simply Kids Furniture right now. We were so pleased with the quality of this child\'s desk; we purchased it for our granddaughter\'s 6th birthday and she loved it! We would recommend this item to all! The quality of the desk and chair was excellent. However, in ordering I thought I had to purchase the chair separately. So I have two chairs. The online information about shipping led me to believe the desk would arrive in time for my granddaughter's birthday. The actual time for the desk to arrive was well over three weeks. It arrived Feb 12. ANSWER: I bought this desk for my 7-year old daughter, and she absolutely loves it! I don't know how much bigger a 10-year old would be than my daughter she is almost 8, but the chair is a little small. Might work for now but may not leave a lot of room to grow. It is a great, desk, though; I would highly recommend it in a larger size for an older child. ANSWER: My daughter is 8 years old. She is a fairly tall 8 year old. She loved the desk. We though it did not come with a chair and ordered an additional chair. we now have two chairs. Easy to assemble. Very adorable. Love it. she enjoys it quite a bit. It is the best price for the quality I have founds. I took several months looking for a desk.